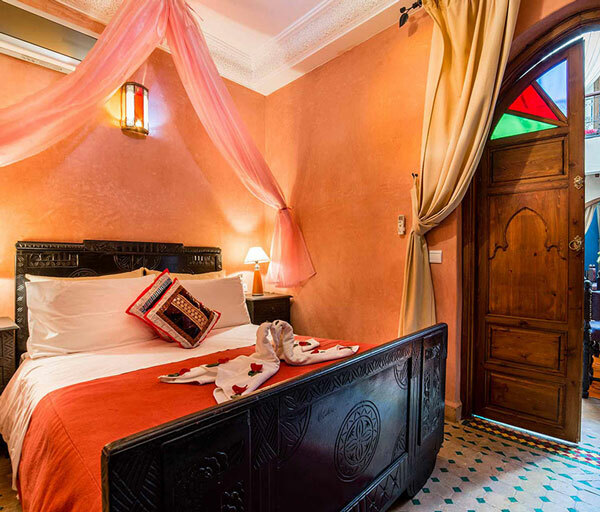 Take a closer look at our rooms that celebrate the Moroccan crafts, natural materials and a unique know-how ranging from woodworking and its paintings called Zouak; to the Tadelakt, a lime-based material which is used either on walls or in bathrooms for its waterproof properties; As well as ceramics and mosaics. 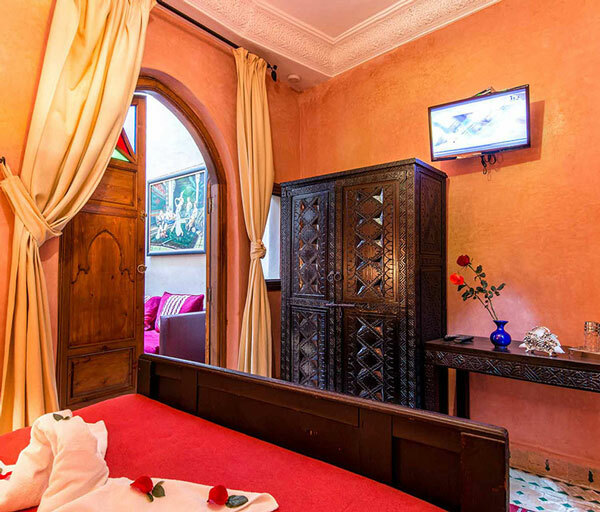 You will be transported with all modern comforts into a warm and typical atmosphere. 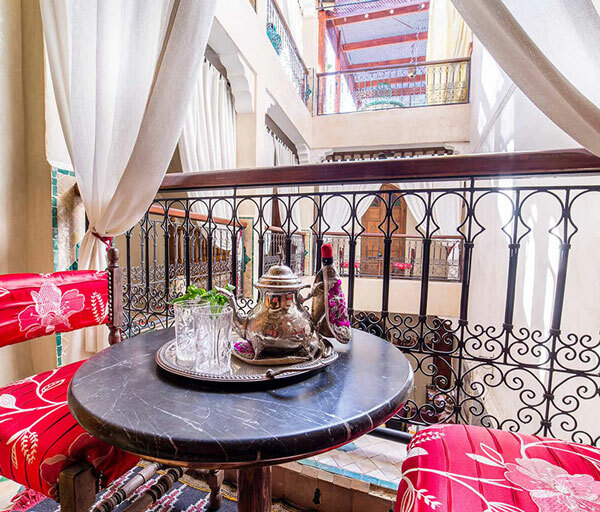 Room for two people located on the ground floor overlooking the patio and a window on the external facade. 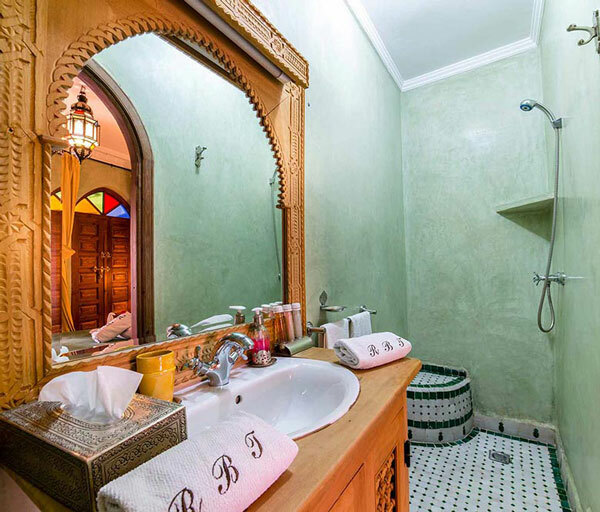 It is decorated with a beautiful shade of tadelakt and it has a comfortable bathroom that is beautifully large and bright, decorated with tadelakt walls and zellige. 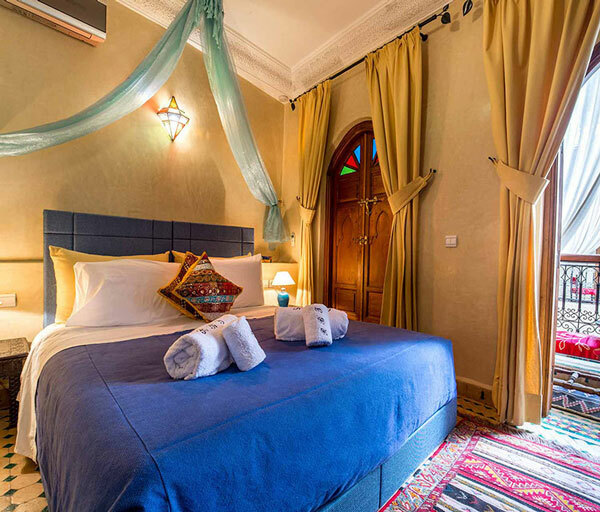 You have the choice of having 1 big double bed or 2 single beds. 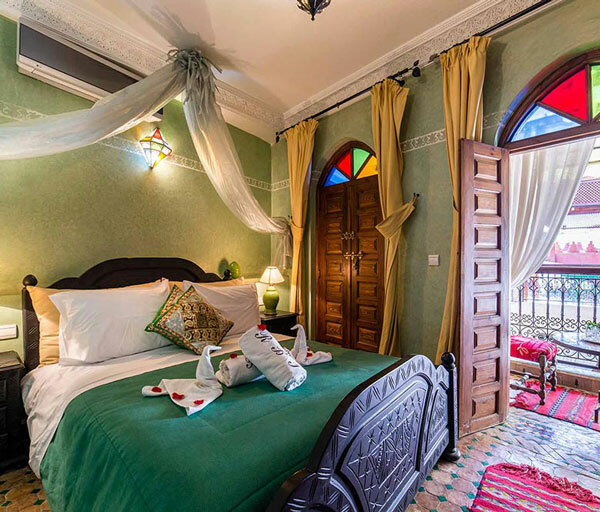 Room type: Room for 2 people. 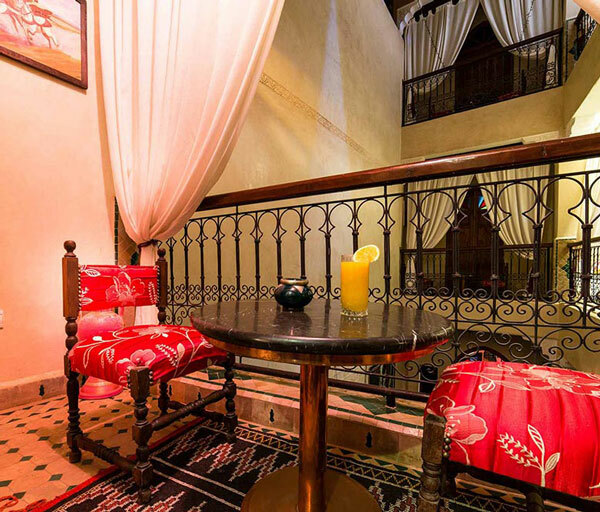 The Oumayma room is located on the ground floor overlooking the patio. 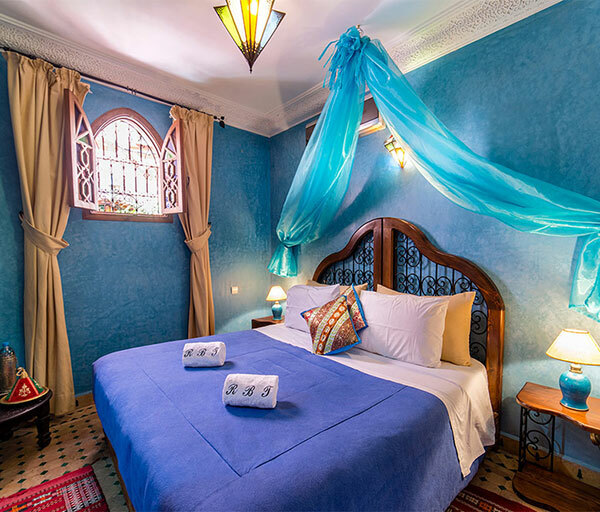 This room is decorated with a beautiful shade of tadelakt and it has a comfortable bathroom that is beautifully large and bright, decorated with tadelakt and zellige. 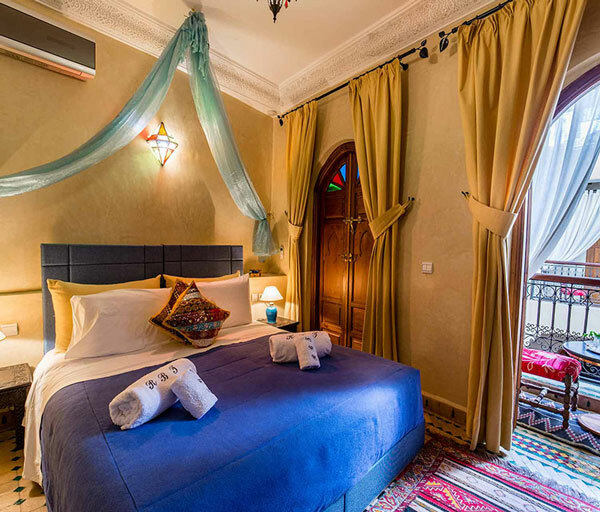 Located on the 1st floor, the Maha Room has a balcony overlooking the patio with a king size bed. 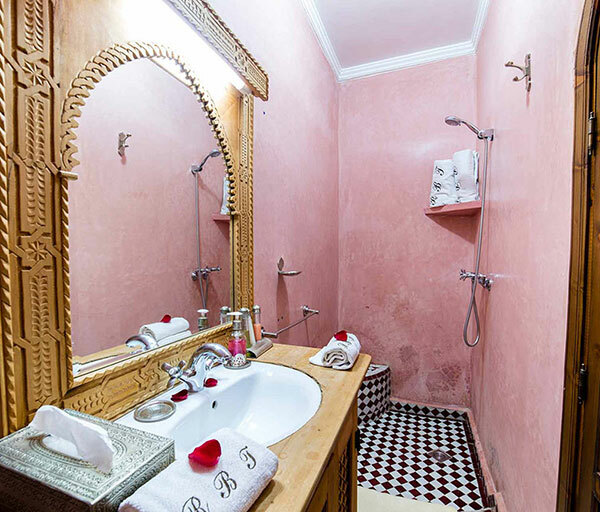 This room is decorated with a beautiful shade of tadelakt and it has a comfortable bathroom. 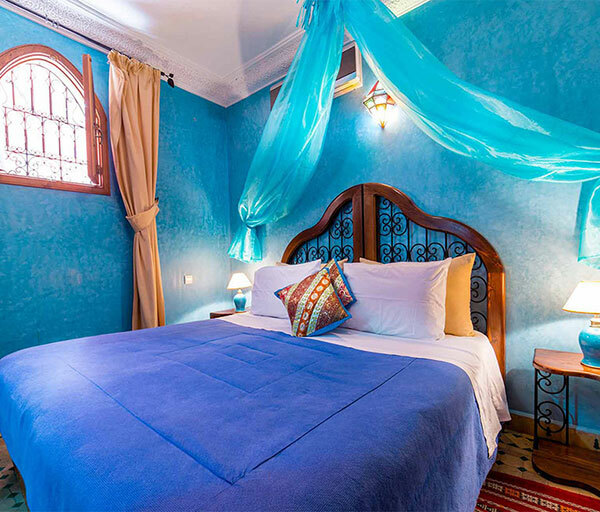 You have the possibility of having a big double bed or 2 simple beds. 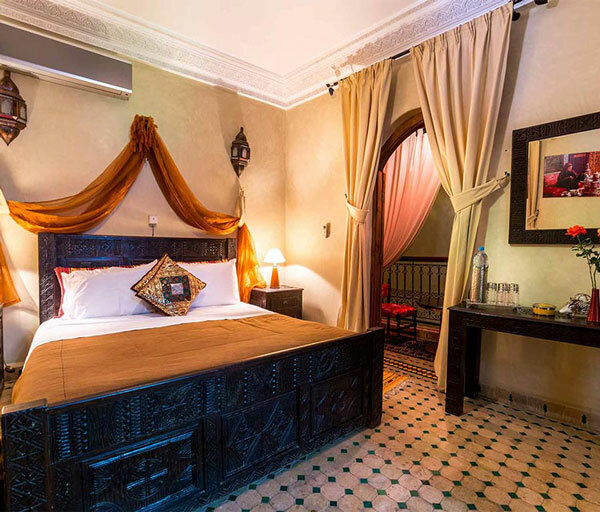 Superb bed 2x90x190 cm king size. 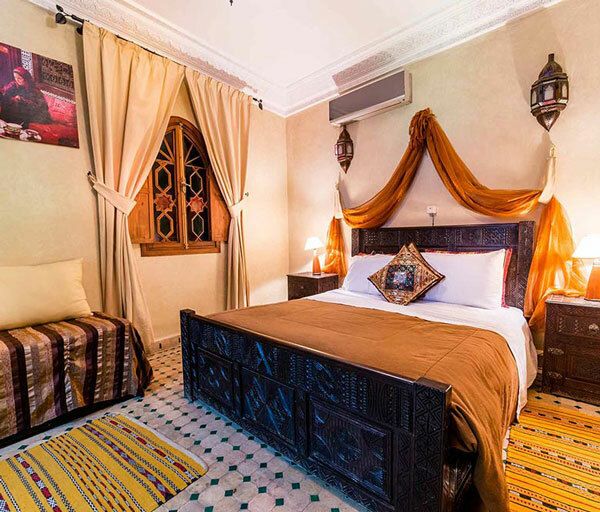 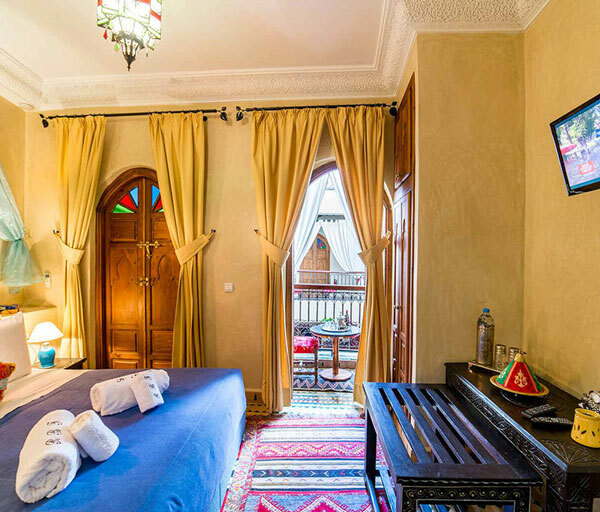 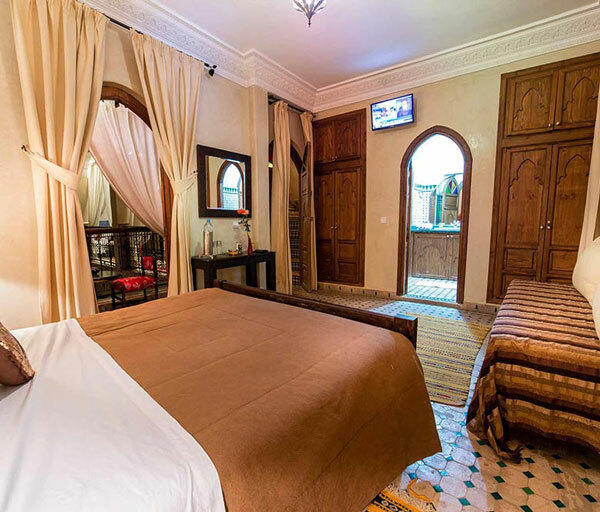 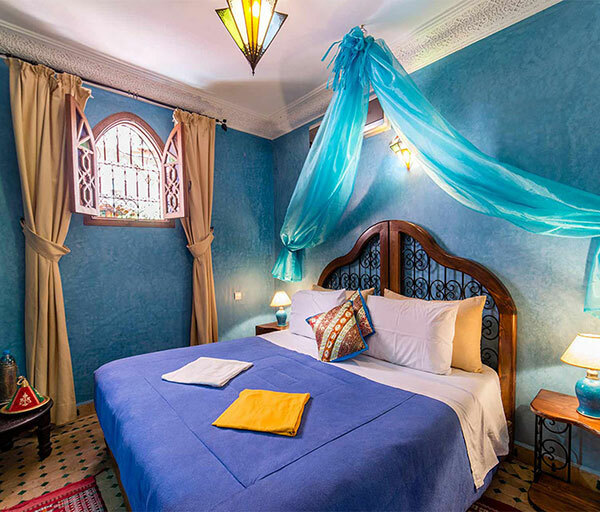 Located on the 2nd floor with a balcony overlooking the patio, the Ghita room is decorated with a beautiful shade of tadelakt and it has a comfortable bathroom that is beautifully large and bright, decorated with tadelakt and zellige. 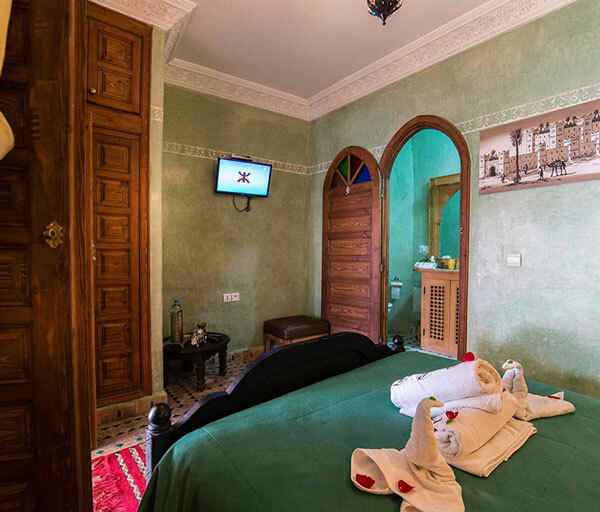 Room type: Room for 2 persons. 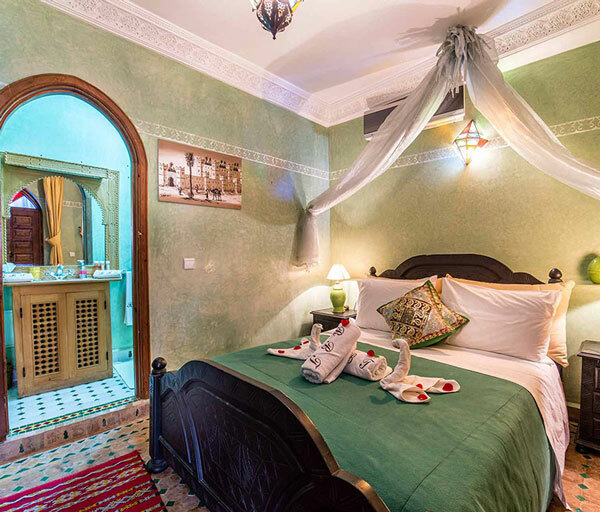 Located on the 1st floor, our Ibtissam mini-suite has a balcony overlooking the patio with two windows on the external facade. 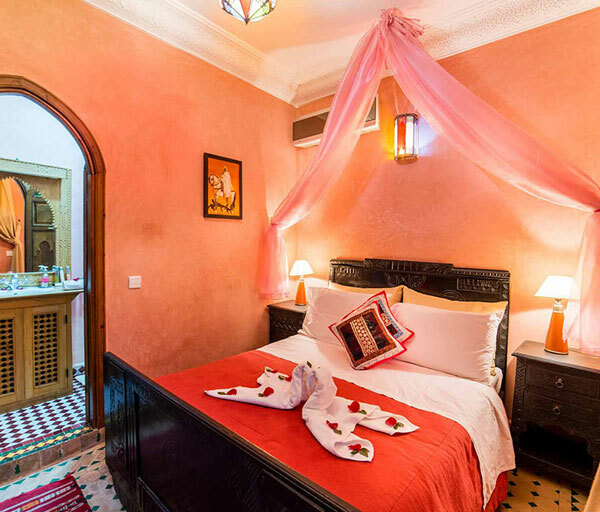 This room is decorated with a beautiful shade of tadelakt and it has a comfortable bathroom that is beautifully large and bright, decorated with tadelakt and zellige. 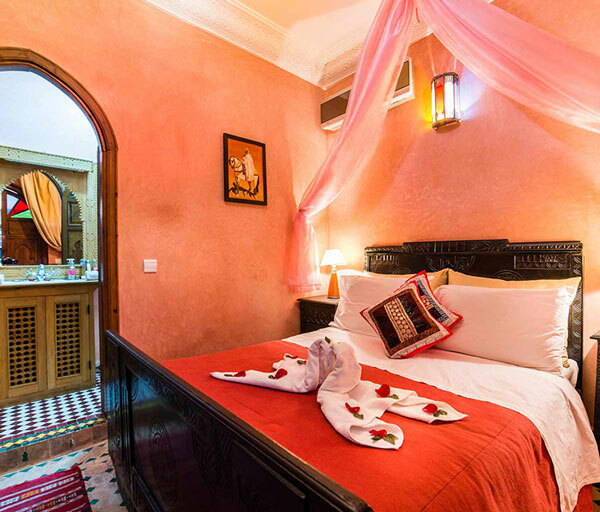 You have the possibility of adding a single bed for a person.